A polite, well-spoken young gentleman. A Millennial representative for the teens and twenties. I am sweet, courteous, caring, respectful, fun, enthusiastic, intelligent, passionate and friendly. This is true for both my British English accent and my American accent too. 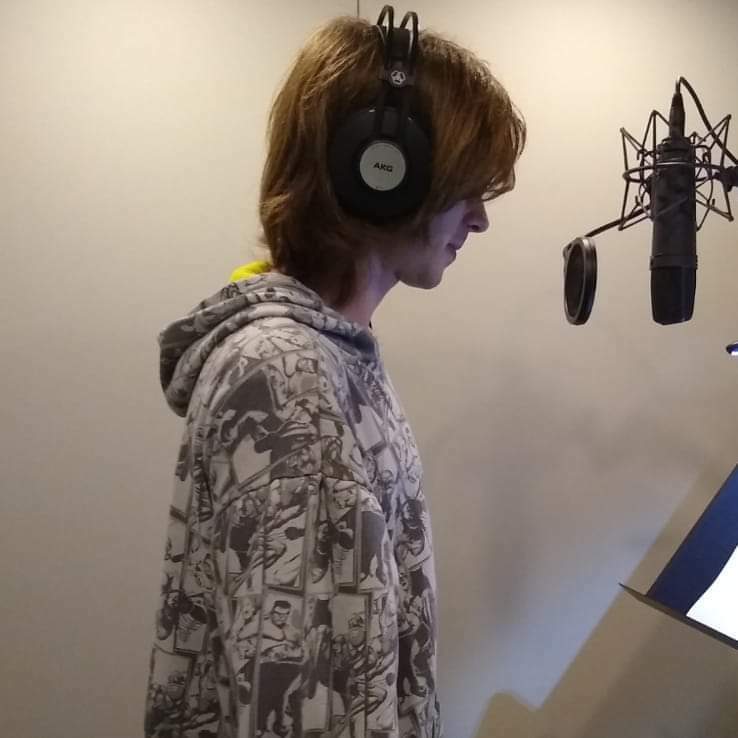 I love animation, video games, commercial plus ADR and dubbing work most of all. But I also enjoy narration, IVR and other types of VO work. Many years of education, studying voice-over in Animation, Commercials, Video Games, ADR and Dubbing, Improv plus more from renowned, veteran Los Angeles voice actors including Bill Holmes (The Voiceover Doctor), Richard Horvitz, Crispin Freeman, Pat Fraley, Bill Applebaum, Keythe Farley, Tony Oliver, Gregg Berger, Charlie Adler and Rob Paulsen. I am passionate about this industry and moved 5000 miles from a small town to a big city in a whole new country to further my career and make my dreams come true. Spotify, Smirnoff, Wrigley's, Purdue University Fort Wayne, Kinder+Sport, Youth Olympic Games, Elephant Games, Sanford Web MD, ExecOnline (with IMD Business School and Yale, School of Management), Timelooper, VIVA Bahrain and more. Payment to Beau Bridgland is securely made through the VOICEOVERS.com escrow service. This guarantees your project is completed to your satisfaction. You can pay securely by eCheck, Visa, Mastercard or American Express and when the work is done, simply download the final files, and release funds to Beau Bridgland. To invite Beau Bridgland to audition for your project, simply click the green button next to the profile picture, answer a few questions about your project and instantly receive a quote. Beau Bridgland typically responds within 24 hours.